At Brackley Beach Country Cottages, we have five luxury two bedroom cottages for your enjoyment. Each cottage has queen and twin size beds, microwaves, remote control/cable television, telephones, coffee makers, toasters and all kitchen utensils. laundry facilities on-site for your convenience. Enjoy the many restaurants near by, as well horse back riding, mini golf and deep sea fishing. All located minutes from the cottages. 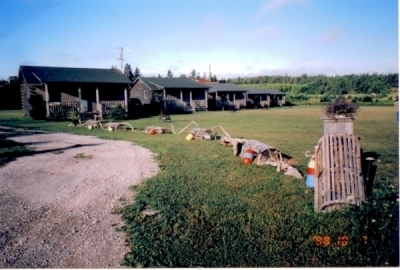 We are conveniently located 1 km from the Provincial Park, and 14 km from Charlottetown, PEI. We are open from May to September with special off-season rates before July 1st and after Labour Day.